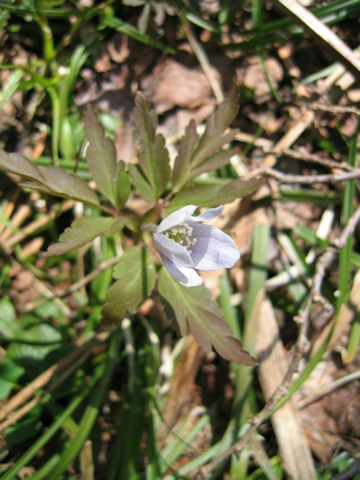 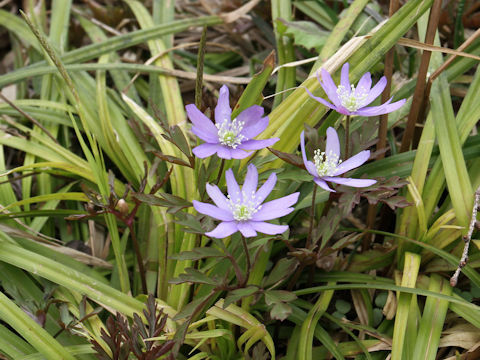 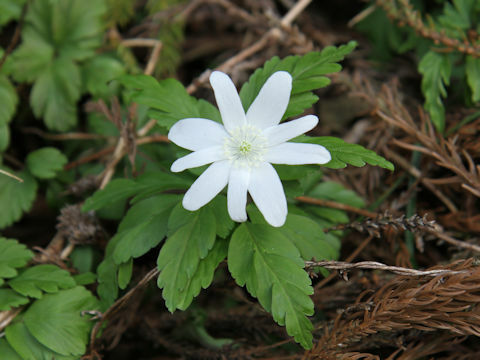 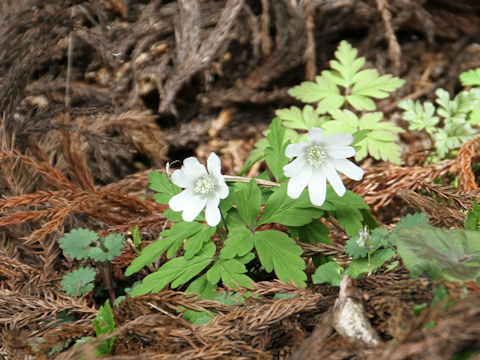 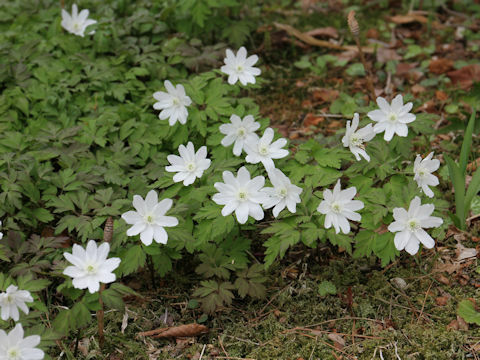 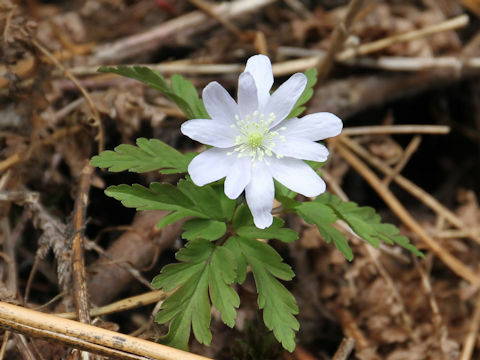 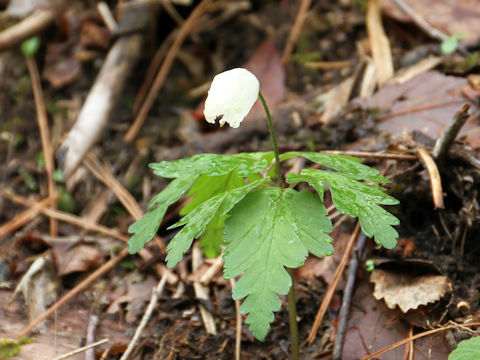 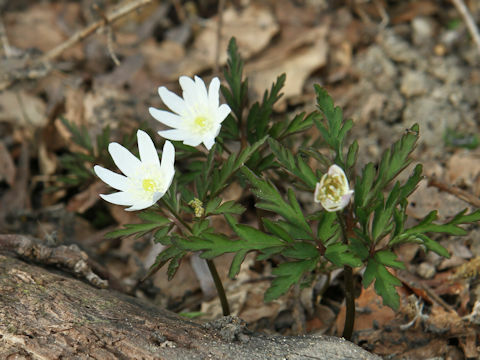 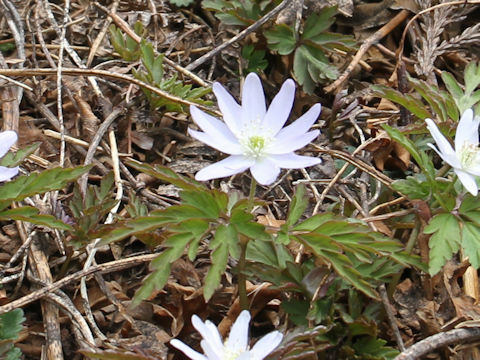 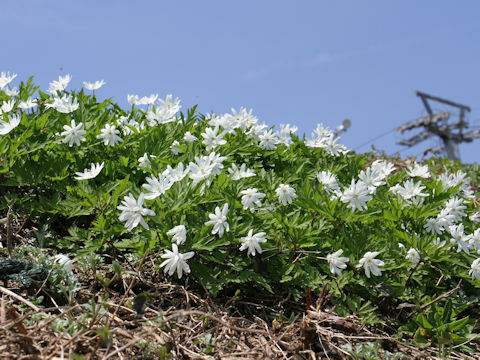 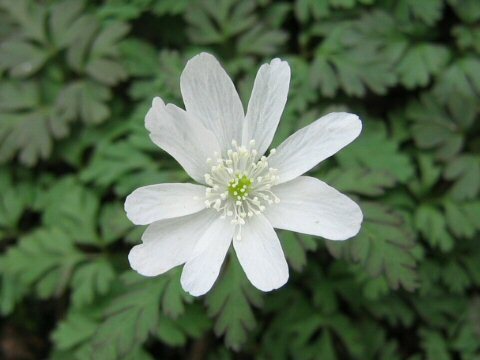 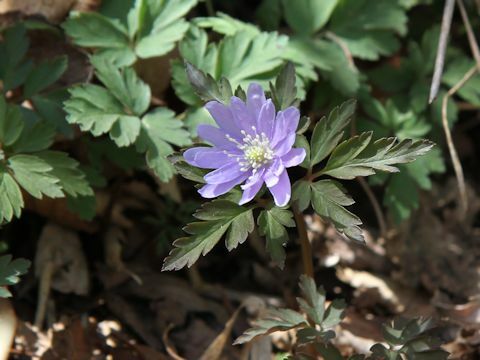 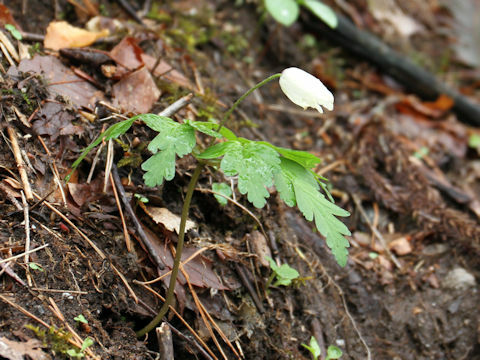 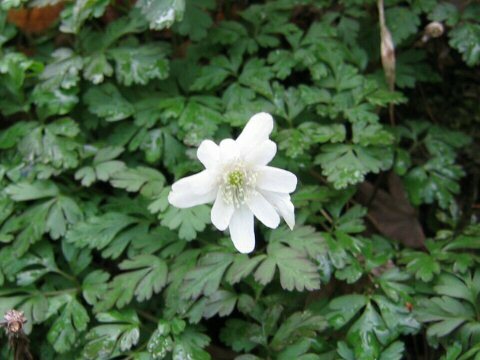 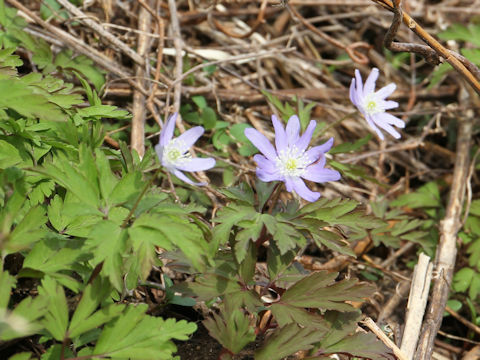 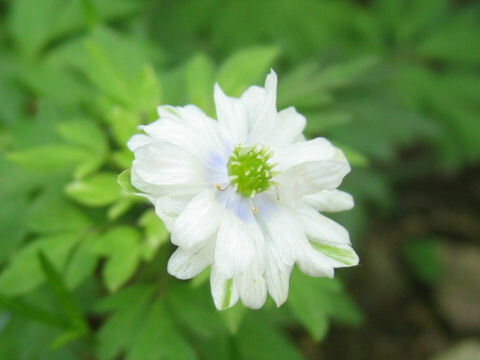 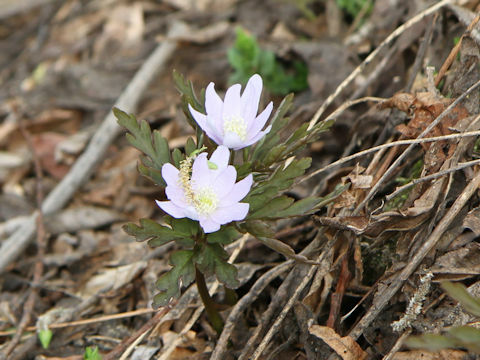 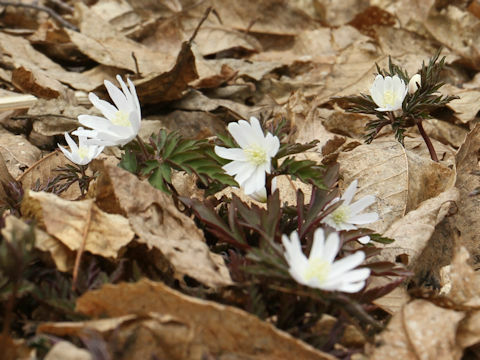 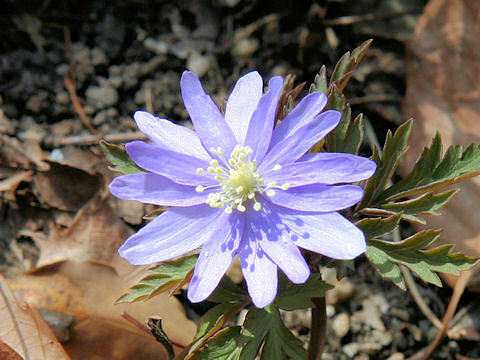 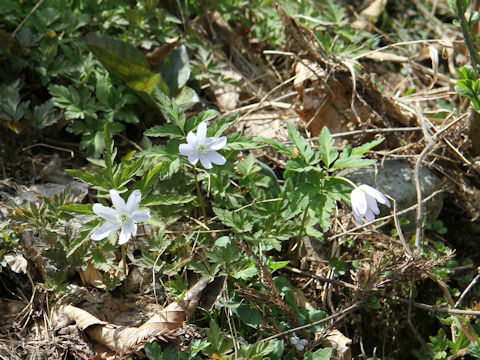 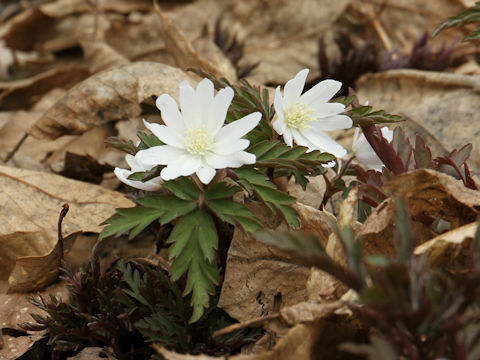 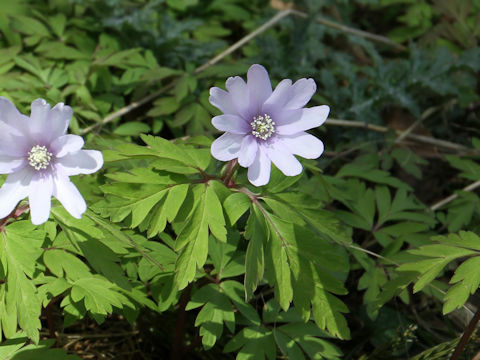 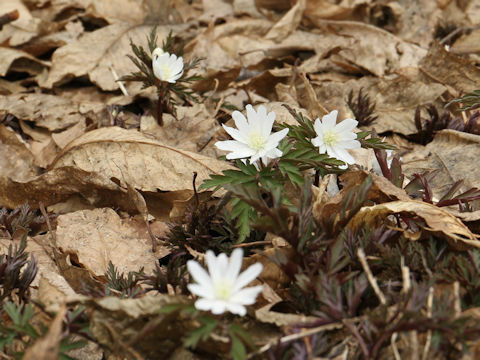 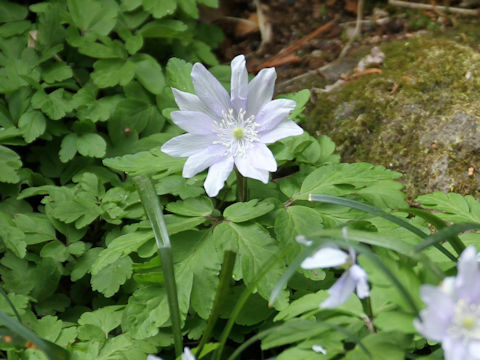 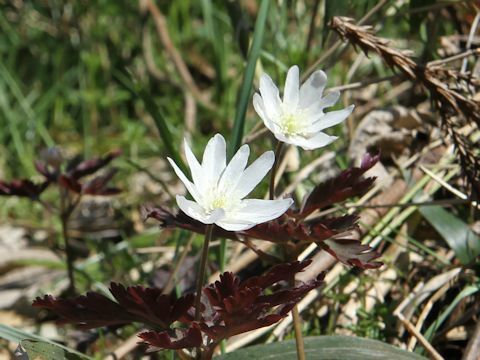 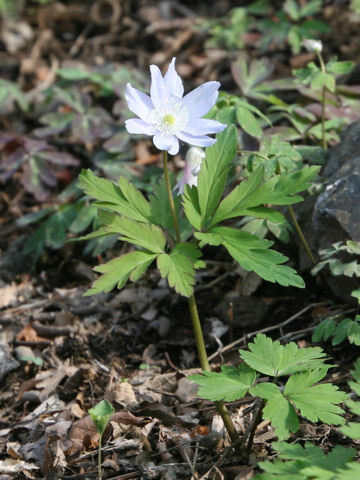 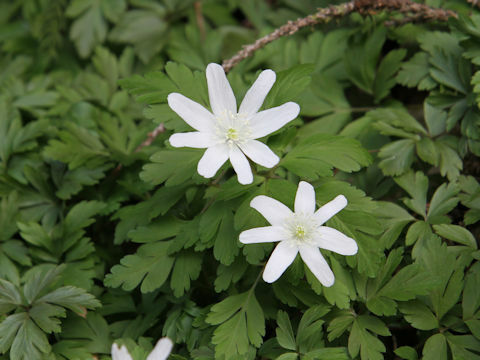 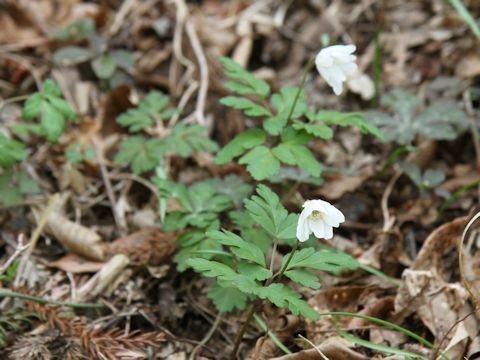 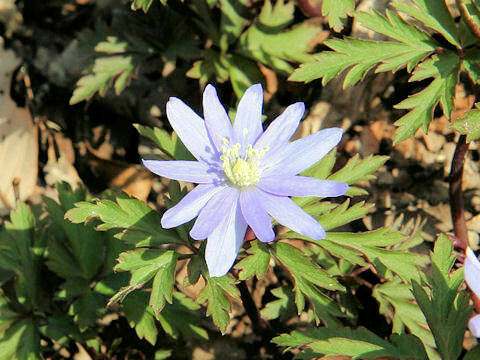 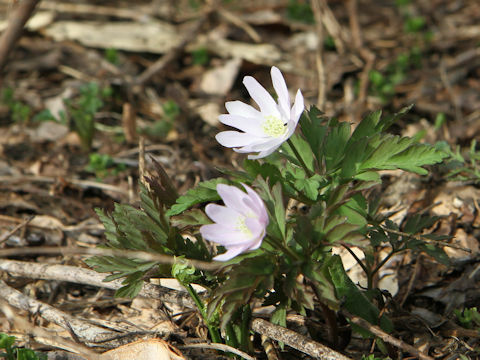 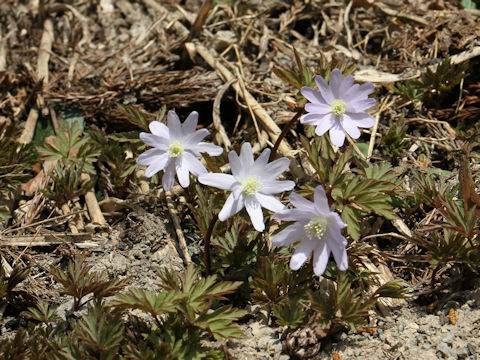 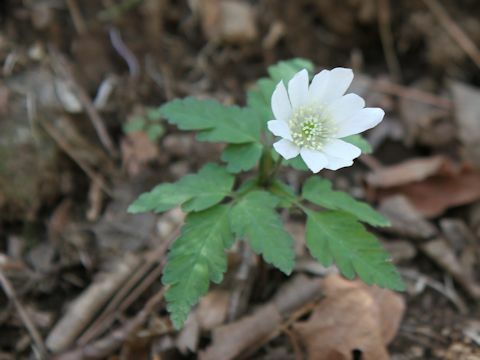 "Kikuzaki-ichige" (Anemone pseudo-altaica) belongs to the Ranunculaceae (the Buttercup family). 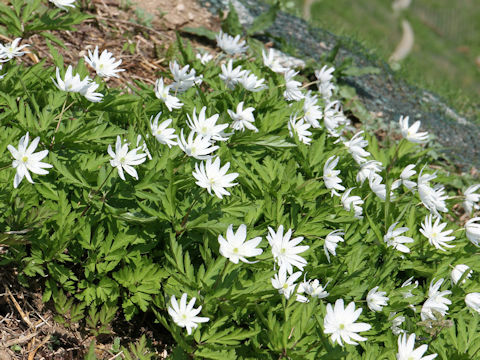 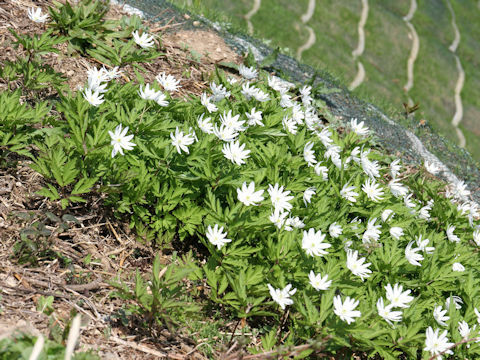 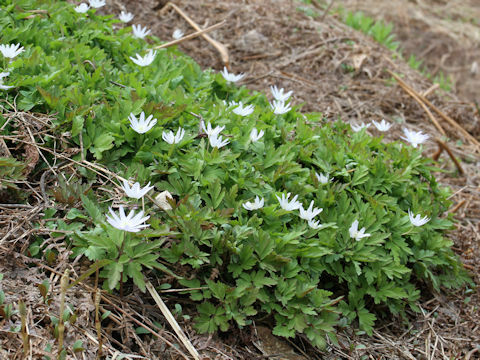 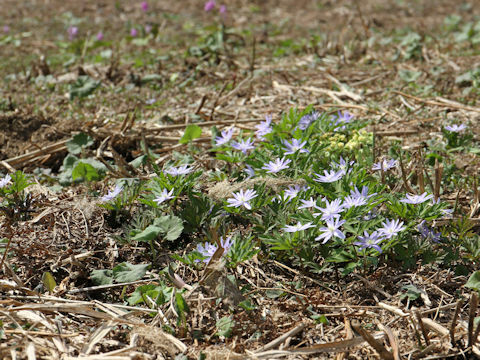 It is a perennial herb that is distributed northward from Kinki district of Honshu to Hokkaido. 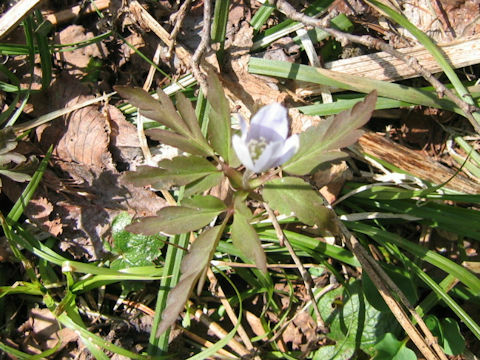 The leaves are biternate compound with deeply lobed leaflets. 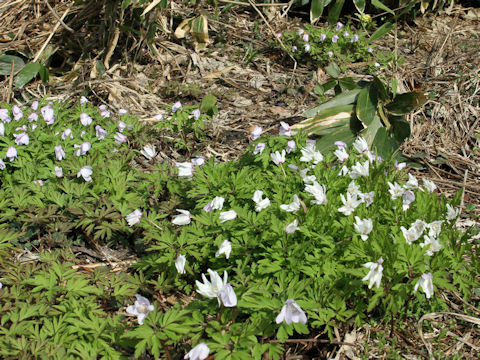 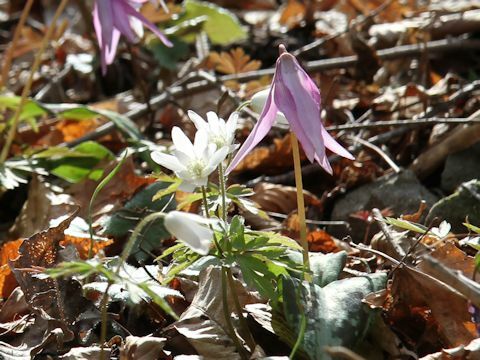 The flowering stalks are borne and the pale to pale purple flowers bloom from April to May. 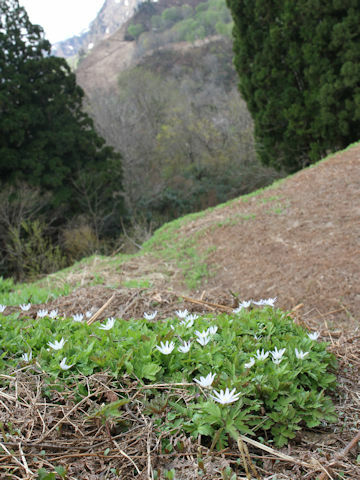 They are 8-13 petaloid sepals. 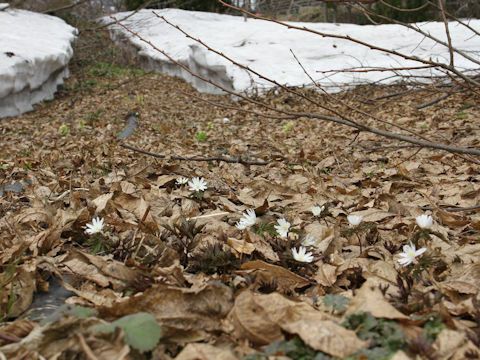 The terrestrials are blighted in the summer. 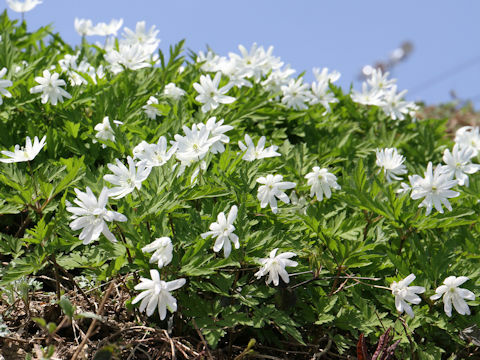 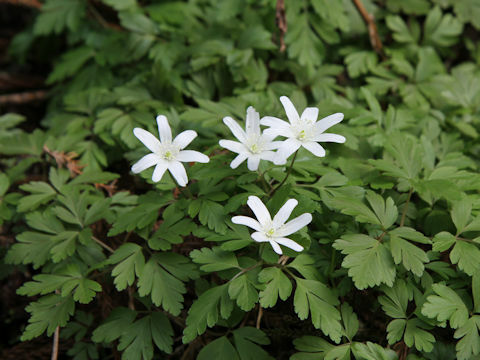 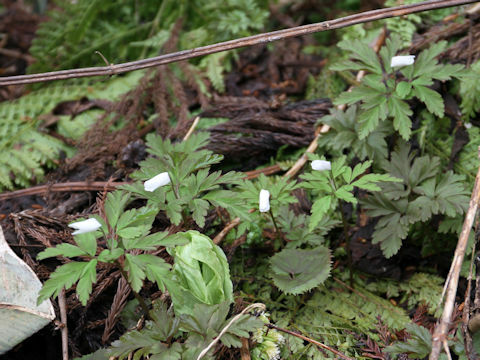 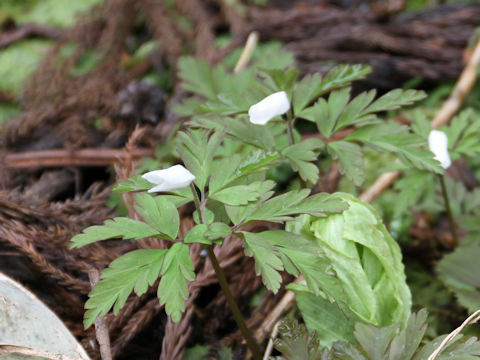 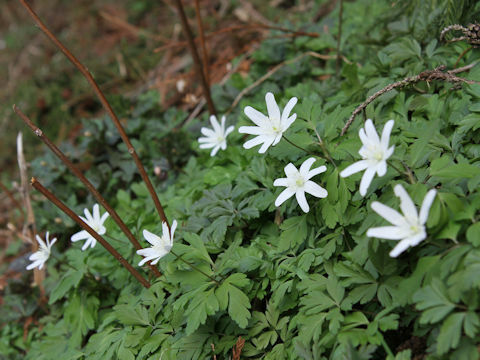 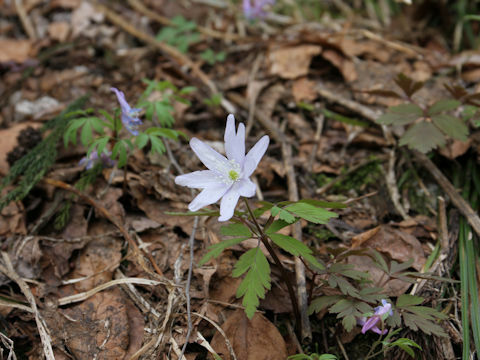 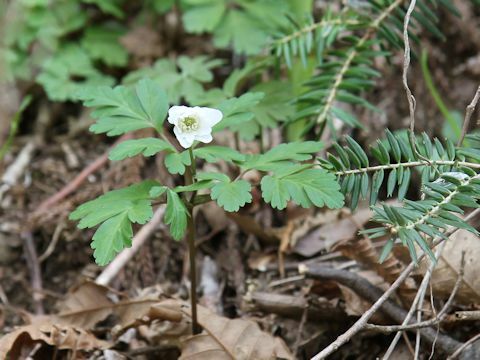 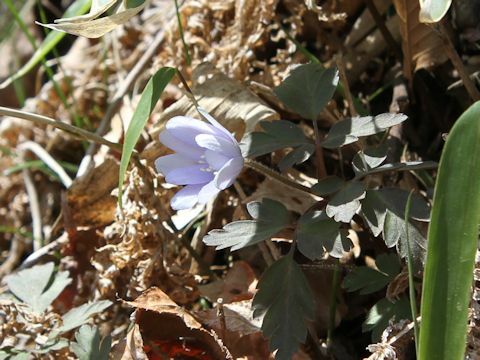 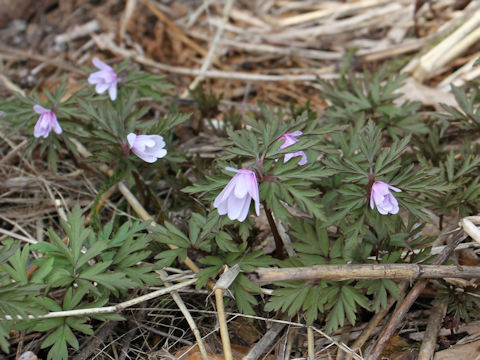 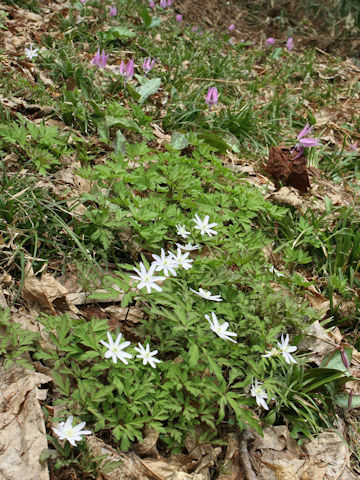 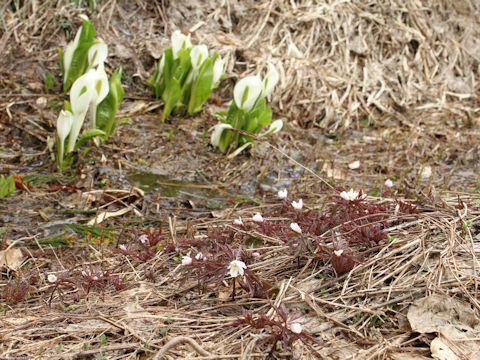 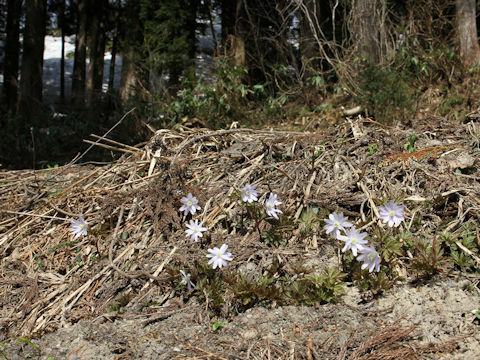 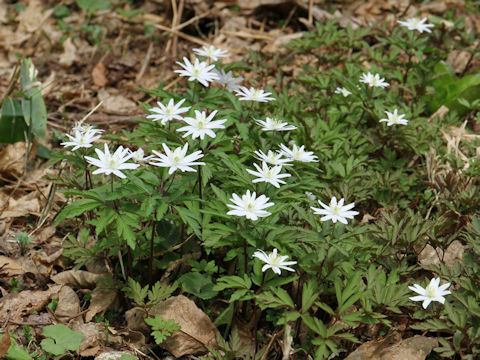 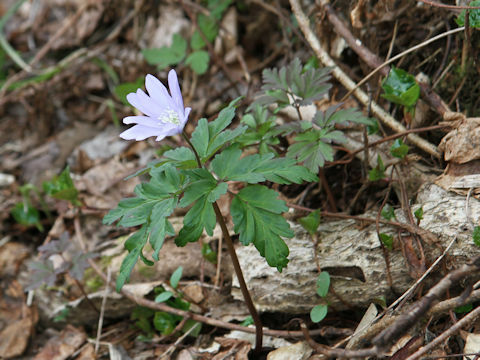 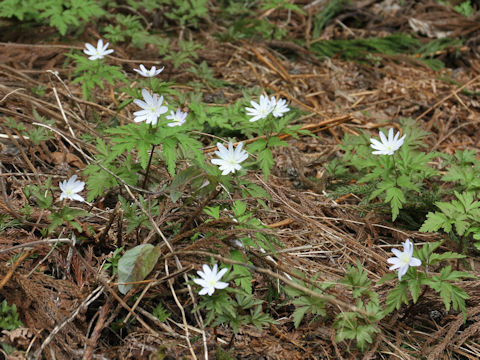 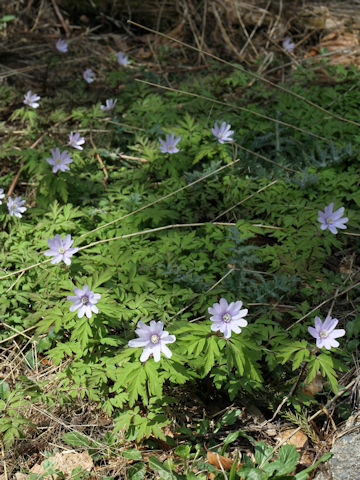 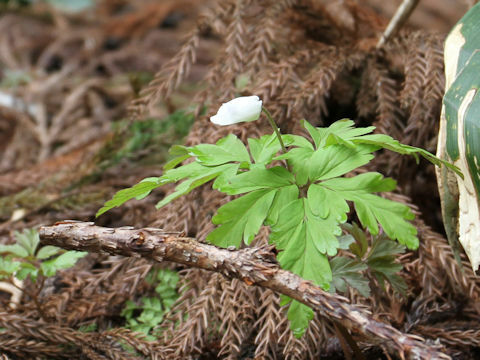 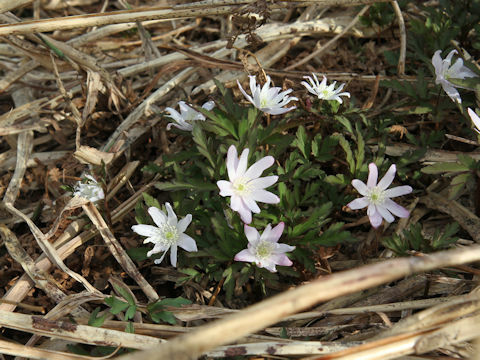 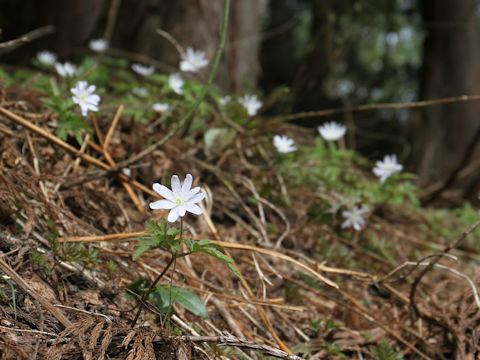 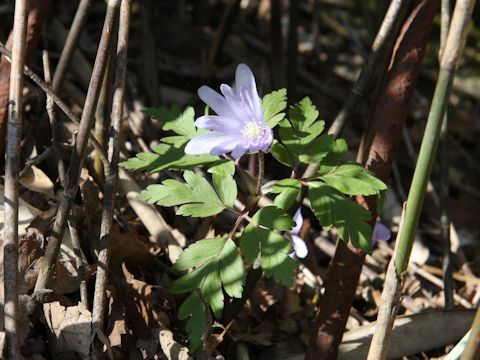 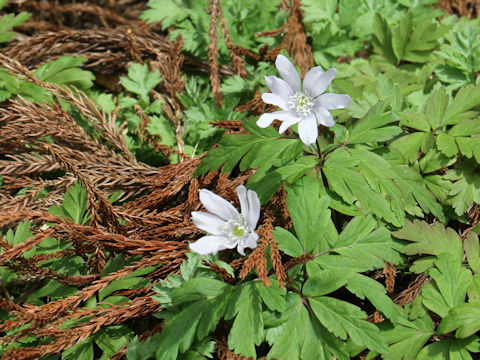 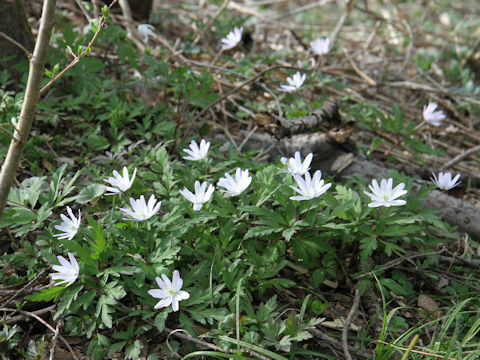 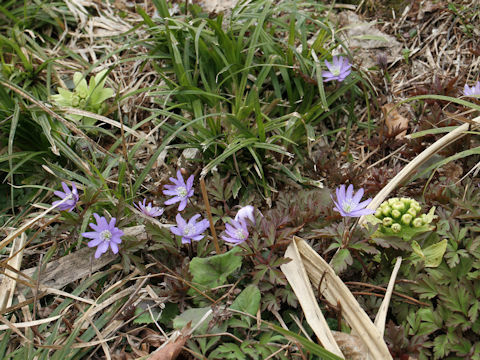 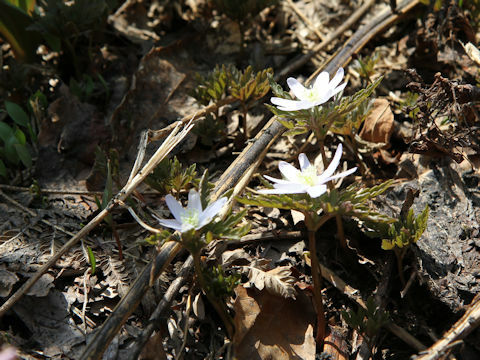 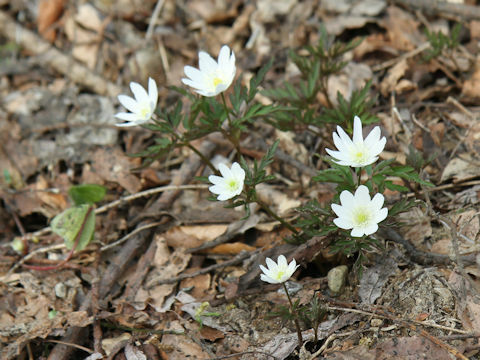 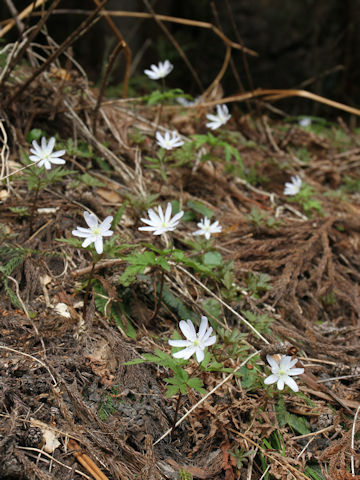 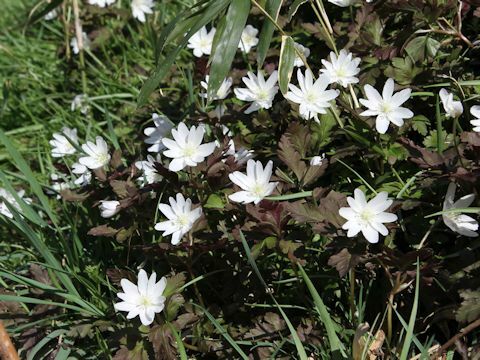 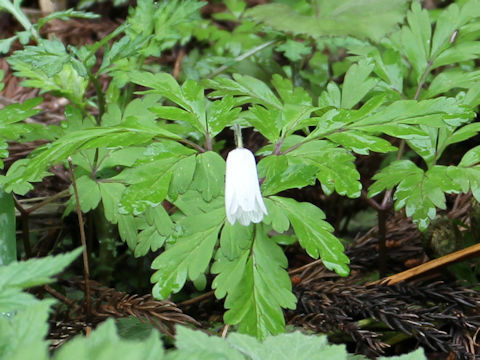 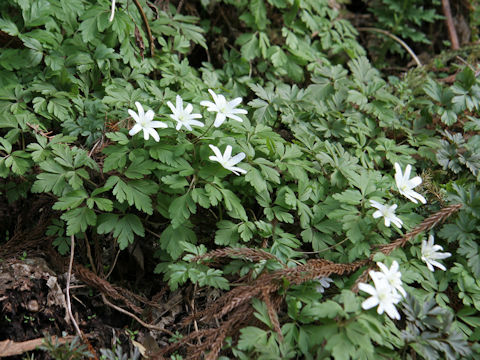 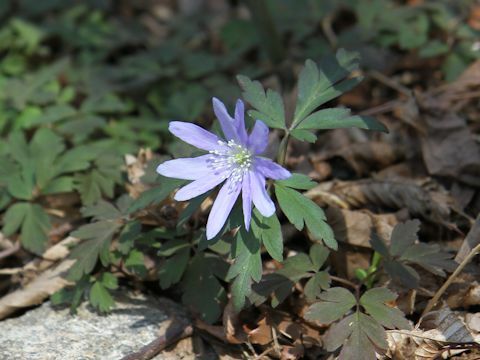 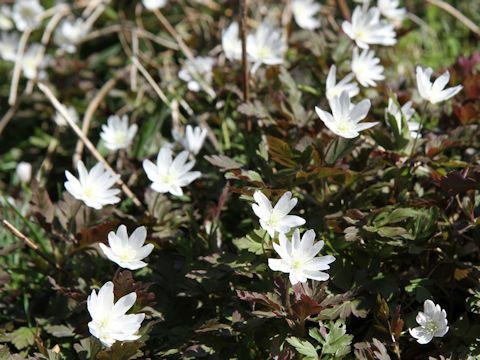 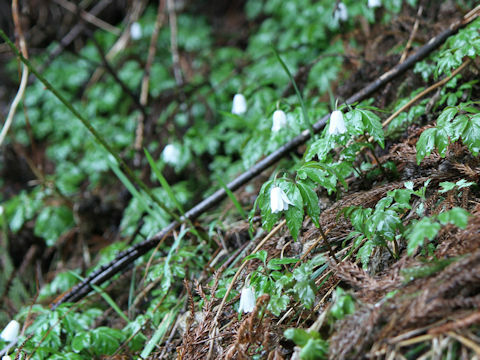 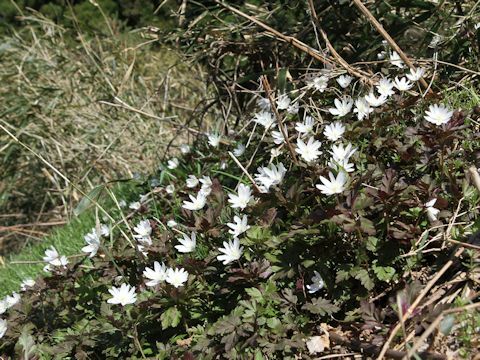 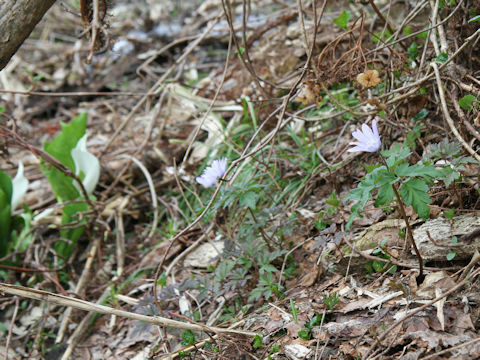 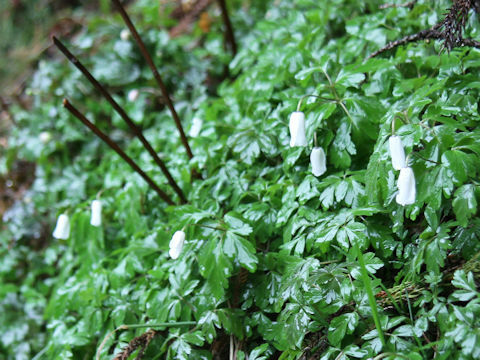 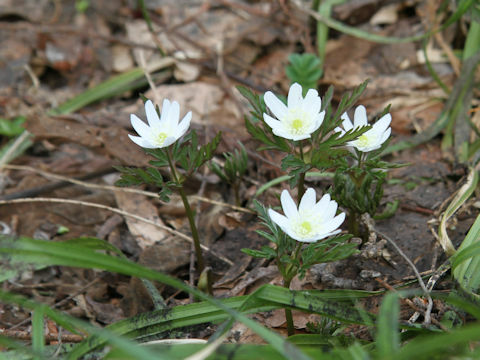 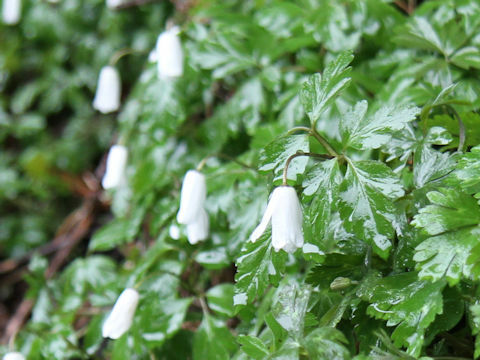 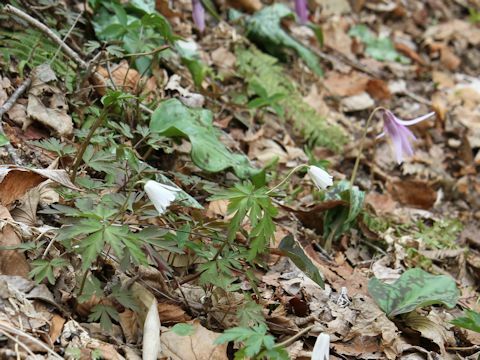 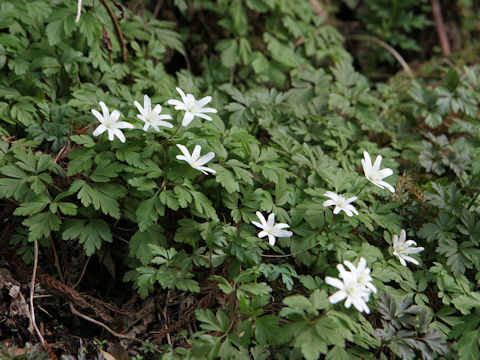 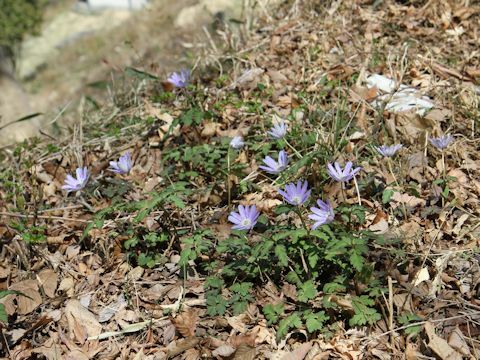 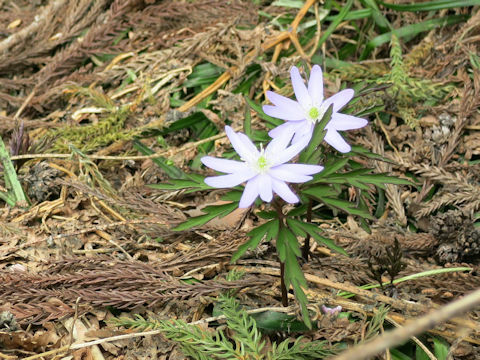 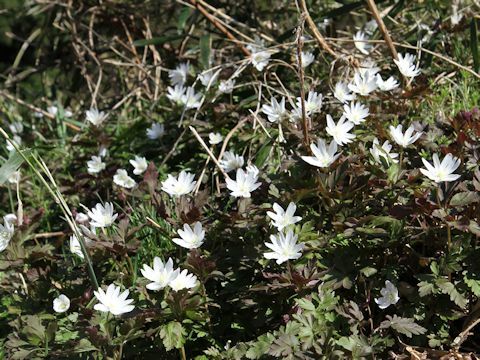 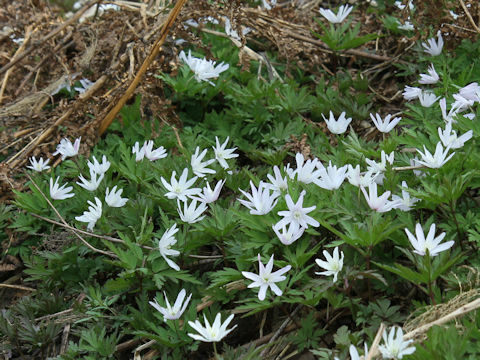 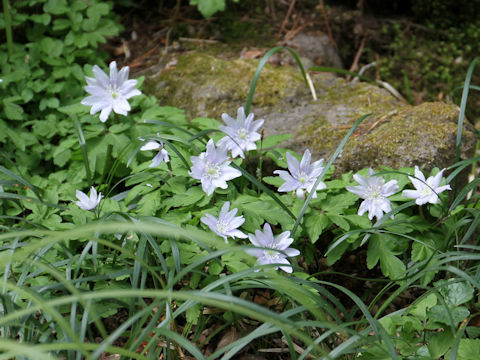 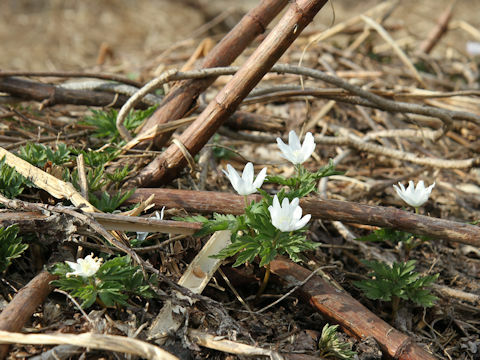 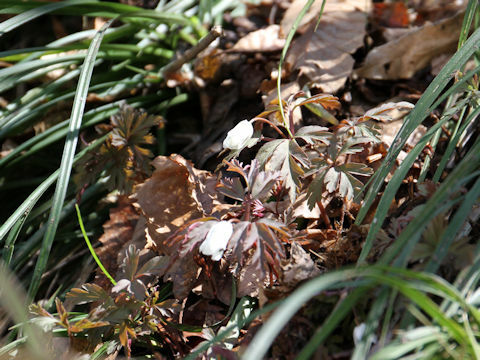 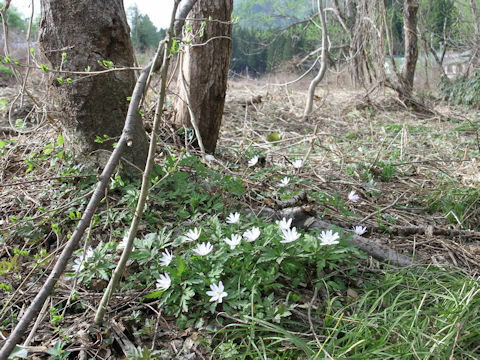 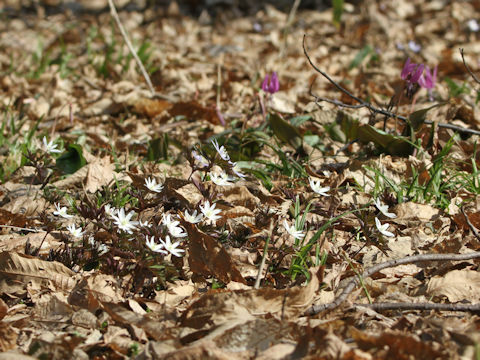 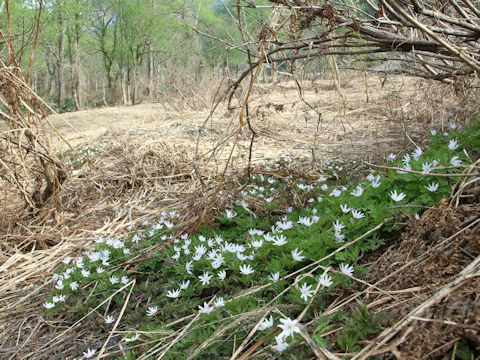 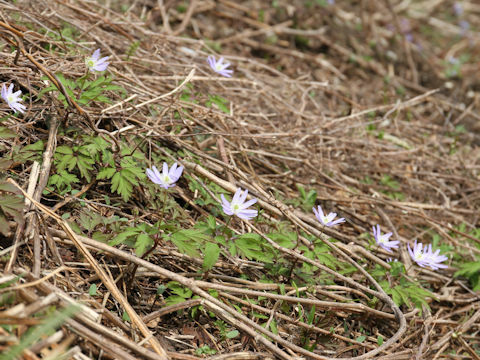 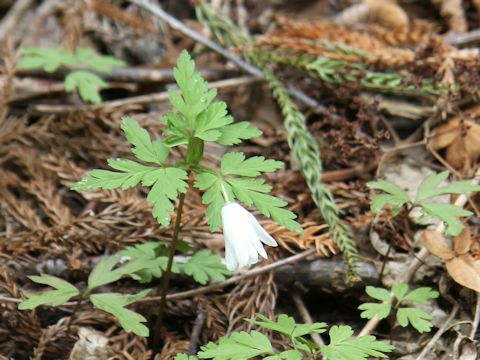 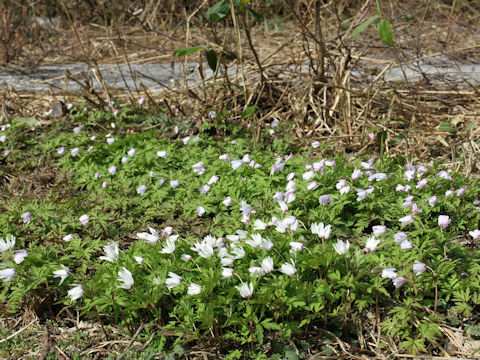 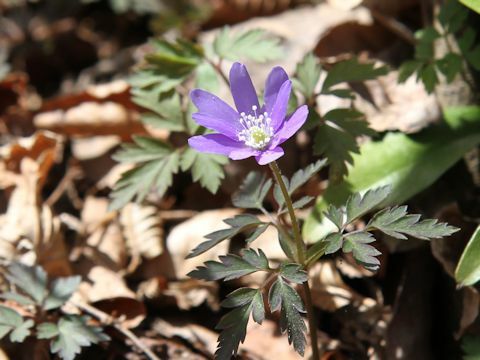 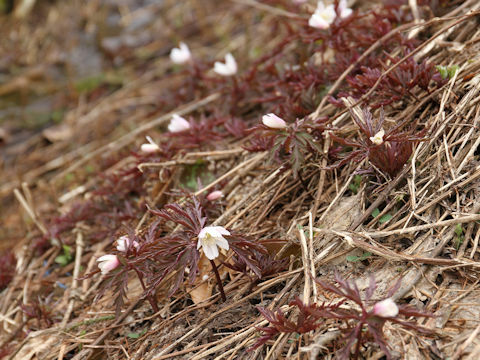 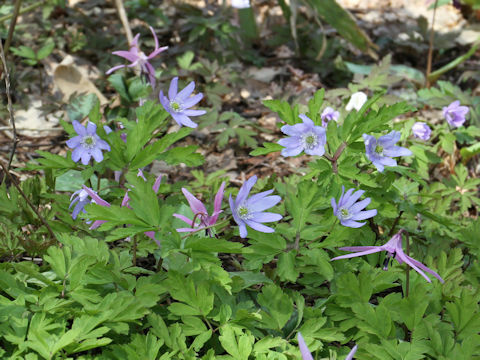 This herb is a spring ephemeral plant.